Artech can find the perfect embroidery fit for all businesses! Branding corporate, casual, work and uniform garments with quality custom embroidered logos and good impressions. 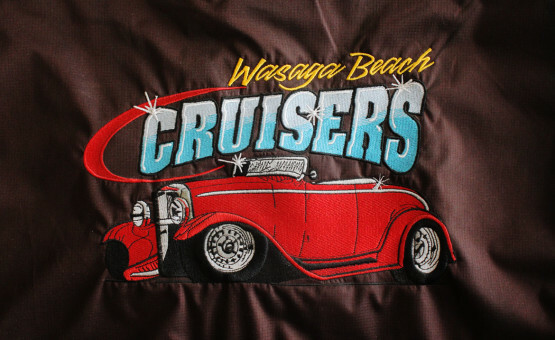 The Team at Artech can produce the perfect custom embroidery fit for businesses of all sizes in Ontario. We are ready to help you find the right embroidered shirt, hat or promotional accessory to help you grow your brand, logo and promotion. With state-of-the-art computerised embroidery machines, we are able to embroid your logo to the highest standard on a huge range of quality products. Embroidery is a traditional method of decoration on fabric material that provides an elegant presentation of your corporate message. Your logo is digitized (term to describe the programming of the machine) and then stitched directly onto the product. We use quality thread, which is tougher, shiner and more durable. Colour matching your corporate colours and logo requirements is no problem with thousands of cotton selections available. Our dedicated and highly experienced staff monitor every piece as it is embroidered and thread trimmed. We want every garment from our shop to make us proud and more importantly, you to look good! With an embroidery capacity of more than 1000 items a day, we can get your order turned around very fast.